Home / Education / What Is CBD? Cannabidiol (CBD) is one of more than 60 chemical compounds found in cannabis. These chemical compounds are collectively referred to as cannabinoids. CBD is the second-most abundant cannabinoid in the cannabis plant, after tetrahydrocannabinol (THC). THC is the main psychoactive cannabinoid found in cannabis, and is responsible for the “high” that users feel when cannabis is smoked or consumed. CBD, on the other hand, is non-psychoactive and provides a wide range of health benefits. CBD is emerging as a powerful natural supplement with anti-inflammatory properties and has the potential to help a number of medical conditions. It has recently gained popularity for its many therapeutic and healing properties. Studies indicate that CBD can help alleviate anxiety, pain, seizures, cancer, and more. Along with THC, CBD is the most well-researched of the cannabinoids. CBD can be used in combination with THC to counteract THCs mind-altering effects. It is not to be confused with THC, as they are both different compounds. Researchers suggest that CBD can influence the body into using its own systems more effectively. When CBD is consumed, users do not experience any sensations associated with the “high” that stems from the component THC. This is a very important trait of CBD from both medical and legal standpoints. Being able to utilize the benefits of cannabinioids without any psychoactive effects is important for those looking for an effective, daily remedy. Because CBD is different from THC, there are different legal obligations to adhere to. CBD is legal for use as long as the products THC levels do not exceed 0.3 percent. This means that CBD can be an effective and legal remedy for many individuals. CBD is derived from the cannabis plant. Cannabis has two main commercial varieties – marijuana and hemp. Marijuana contains THC, and is the variety that gets you “high” when consumed. A growing number of people consume it for its medicinal properties, but it is also used for recreational purposes. Hemp is the variety that is grown for industrial purposes, and has an extensive array of uses. Hemp is commonly used to create items such as clothing, paper, food, and even fuel. Recently, it has been bred to contain higher concentrations of CBD. Hemp is quickly becoming the main source for CBD as a result. CBD is extracted from cannabis using a variety of methods. Once extracted, CBD is infused into many types of products such as oils, tinctures, topicals, vapes, edibles and more. Most of the CBD products you find on the market will have been derived from hemp. Hemp is legally cultivated throughout the United States and other areas of the world. A general consensus suggests that CBD derived from marijuana is more potent and more effective than CBD derived from hemp. Many attribute this phenomenon to the “entourage effect,” a theory that states one cannabinoid can have more powerful results when working together with other companion cannabinoids. Buds from marijuana plants have a richer and wider complement of cannabinoids compared to hemp plants. But, because hemp has a lower concentration of THC, it is more ideal for producing CBD-only products. While both plants are effective, only hemp is federally legal, whereas marijuana may face more challenging legal issues. Simply put, the source – marijuana or hemp – matters. CBD works by interacting on a regulatory system in our bodies known as the Endocannabinoid System (ECS). This system consists of naturally-produced cannabinoids and cannabinoid receptors and is involved in regulating a number of physiological and cognitive processes such as sleep, appetite, mood, pain sensation and memory. The goal of the ECS is to help maintain and regulate homeostasis (optimal balance) within the body, making it possible for us to enjoy CBD’s therapeutic benefits. CBD interacts directly and indirectly with various receptors to produce therapeutic effects. These receptors include CB1 and CB2 receptors (the main receptors of the ECS), as well as serotonin, vanilloid, adenosine and GPR55 receptors. Because cannabinoid receptors are found in so many places in the body, they are crucial for optimal health. CB1 receptors of the endocannabinoid system are abundant in the central nervous system, while CB2 receptors are often found on immune cells and in the gastrointestinal tract. In addition to the functioning CB1 and CB2 receptors, the body actually produces some cannabinoids on its own, called endocannabinoids. When these receptors are activated, they permit two-way communication between body systems, ensuring proper function of everything from mood to memory. Another way CBD works is by deactivating (rather than activating) receptors such as GPR55. When activated, GPR55 promotes cancer-cell proliferation. Since CBD seems to block or deactivate GPR55, it is believed that it has a positive effect on cancer prevention and treatment. Due to the persecution of hemp and cannabis in the last 80 years, most people living today have gone their entire lives without utilizing the raw benefits of CBD. Bringing the body back into harmony could be as simple as replacing this lost nutrition. Pain: Using CBD oil as a way to relieve chronic pain is a major reason why individuals are seeking CBD and how it works within the body. For example, anandamide is a compound associated with regulating pain is anandamide – CBD stops the body from absorbing this compound, causing increased levels of anandamide in the bloodstream that may reduce the amount of pain a person feels. Cannabidiol may also limit inflammation in the brain and nervous system, which may help people experiencing pain and certain immune-system responses. Sleep (Insomnia): CBD is said to act as a sleep aid, proving beneficial to individuals who suffer from interrupted sleep or insomnia. Cannabidiol possesses calming, sleep promoting, health-protective benefits. It is rumored the second most common reason people consume or smoke cannabis is for a better night’s sleep. According to research, CBD may increase overall sleep amounts and improve insomnia. It has been shown to reduce insomnia in people who suffer from chronic pain or anxiety. In smaller doses, CBD stimulates alertness and reduces daytime sleepiness, which is important for daytime performance as well as the strength and consistency of the sleep-wake cycle. Addiction: There is promising evidence that CBD may be useful in treating substance abuse, including addiction to opioids, cocaine, and nicotine. For example, one study demonstrated CBD could reduce by 40 percent the number of cigarettes consumed by smokers trying to quit. These studies suggest there may be a link between the endocannabinoid system and nicotine addiction, and CBD may be a key to breaking the habit. CBD hemp oil in particular may help curb the urge to smoke by reducing “reward memories” which cause people to want to smoke when they see another person smoking. Anecdotal evidence also states that vaping CBD may be hugely effective in weaning of off smoking habits. Depression and Anxiety (OCD, Social Anxiety Disorder, PTSD, and more): For centuries, cannabis has been used to treat nerves, anxiety, and other mood disorders. Researchers are now finding CBD may help improve both depression and anxiety in part through its interactions with serotonin receptors in the brain. CBD has also proved to reduce mental and physical symptoms of anxiety. Neurodegenerative Diseases (Parkinson’s, Alzheimer’s, Multiple Sclerosis): CBD is showing promise as a compound that can contribute to protecting the brain thanks to its antioxidant and anti-inflammatory abilities. Scientists are currently investigating CBD’s role in neurogenesis and its ability to help the brain heal from injury, and as a treatment for neurodegenerative disease. Research suggests CBD may help reduce brain damage from stroke or other neurological injury. In addition, CBD is increasingly being looked into as a possible therapy for several neurodegenerative diseases including Parkinson’s, Alzheimer’s, and multiple sclerosis. Cancer: CBD is being examined closely for its possible role in cancer treatment and prevention. It is currently showing promise in treating several types of cancer directly by inhibiting cancer cell growth and metastasis. Epilepsy, Seizures, and Tremor/Spasmodic Disorders: Scientists have recognized for many years the anti-seizure capabilities of CBD. Because of the many negative or unwanted side effects of traditional anticonvulsant drug treatments used to suppress seizures, patients are seeking cannabis oil as a solution for their suffering. CBD contains anticonvulsant properties, helping epileptic seizures subside by affecting neurotransmitters responsible for sending messages to the brain. Past studies have proven cannabinoids can decrease seizures, and further research is currently being conducted to find out more. This could also show positive effects for the treatment of various other tremor and spasmodic disorders such as cerebral palsy. General Mood: Several types of research based on CBD showed that the cannabinoid chemicals boost energy levels by strengthening individual body cells. CBD oil benefits a person’s mental state by promoting normal energy, less anxiety, and ensuring that body cells are in good, stable condition throughout the day. The therapeutic properties of CBD oil can help combat physiological disorders while also controlling physical pain caused by the disorders. Inflammation (Type 1 Diabetes): CBD helps reduce oxidative stress, inflammation, cell death, and vascular hyperpermeability, which is commonly linked to diabetes. CBD for diabetics has been shown to help reduce the need for insulin among patients. CBD’s powerful antioxidant and anti-inflammation properties help reduce neuropathic pain via the CB1 receptor by halting progression. Rheumatoid Arthritis: Some studies on animals suggest that CBD oil could help treat arthritis by relieving the inflammatory pain associated with it. 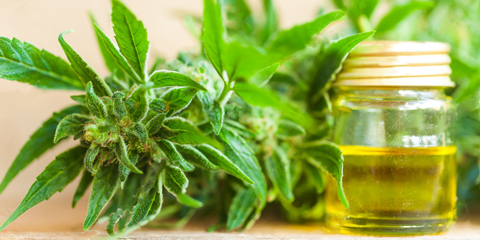 While findings so far have been encouraging, more research is needed to say with certainty that CBD oil is an effective treatment for arthritis pain, while much anecdotal evidence exists. Nausea: The ECS plays a direct role in regulating nausea and vomiting. Preliminary findings suggest the introduction of CBD indirectly activates a unique compound known as 5-hydroxytryptamine-1A (5-HT1A). Through a complex biological connection, the activation of this monoamine neurotransmitter significantly reduces the sensation of nausea and its subsequent vomiting reflex. Psychosis (Schizophrenia): Because schizophrenia is notoriously difficult to treat, no one believed a natural remedy such as CBD could help. Yet, research looking directly at schizophrenia and CBD has been largely positive. In 2015, two scientists concluded the first small-scale clinical studies with CBD treatment of patients with psychotic symptoms and confirmed the potential of CBD as an “effective, safe and well-tolerated” antipsychotic compound. This is likely because of the close links between the body’s endocannabinoid system. Inflammatory Bowel Disease: To date, most research around the effects of THC and CBD compounds on IBD has involved studies with animals or biopsied human tissue. The results look promising, but warrant additional research and human studies before truly understanding how effective these substances might be. In a 2011 animal study, researchers used several different methods to test the effectiveness of CBD alone at reducing inflammation in colitis. They found that administering CBD after inducing inflammation reduced it, and administering CBD before inducing inflammation prevented it from occurring at all. Acne: CBD oil is said to be “extremely effective” when it comes to the treatment of acne by inhibiting oil production, decreasing stress and reducing inflammation. With those three contributing factors to acne and adult chronic acne, it appears cannabinoid oil tackles acne in a multifaceted approach in place of topicals and medication that breakouts are unresponsive to. Additionally, CBD can be used to aid the skin by both ingesting and topically applying, rather than one or the other like many skin treatments. Psoriasis: CBD oil has a significant amount of anti-inflammatory and anti-proliferative characteristics that can act against the symptoms of psoriasis. The main ideas behind why CBD and other cannabinoids are effective psoriasis treatments are (1) it supports a fully balanced endocannabinoid system (2) it has shown potential as an anti-itch or antipruritic substance and (3) it suppresses the immune response. Researchers have concluded that CBD oil is safe to use internally or externally, allowing it to target some of the root causes of psoriasis and soothe problem symptoms. CBD is consumed in various ways depending on preference and purpose. It can be eaten, inhaled, taken sublingually, and applied topically. Common forms of CBD are oils, tinctures, salves, creams, lotions, vapes, edibles, and beverages. The most common ways to take CBD are to simply swallow pure CBD oil, or hold it under your tongue for a short period. Sublingual application allows a direct absorption into the bloodstream. When you ingest CBD oil, it passes through the digestive system and is metabolized by the liver, eventually delivering its active compounds to your bloodstream. Over the past year, vaping CBD has grown in popularity among health-conscious consumers, as it offers a lung-friendly method for inhaling CBD oil, allowing CBD and other trace cannabinoids to be absorbed through the lung’s large absorptive surface area before they’re diffused into the bloodstream. You can even chew CBD as gum, mix it with your favorite food or drink, rub it on your skin, or use it to wash and condition your hair. How Can You Obtain CBD? CBD is sold legally throughout the United States and in numerous countries throughout the world. It is typically sold as a nutritional supplement, and you can obtain it without a prescription or medical recommendation. It can be purchased through online and offline retail stores, drug stores, pharmacies, CBD stores, and select stores that specialize in hemp. CBD products can vary significantly in terms of quality, effectiveness, and safety. 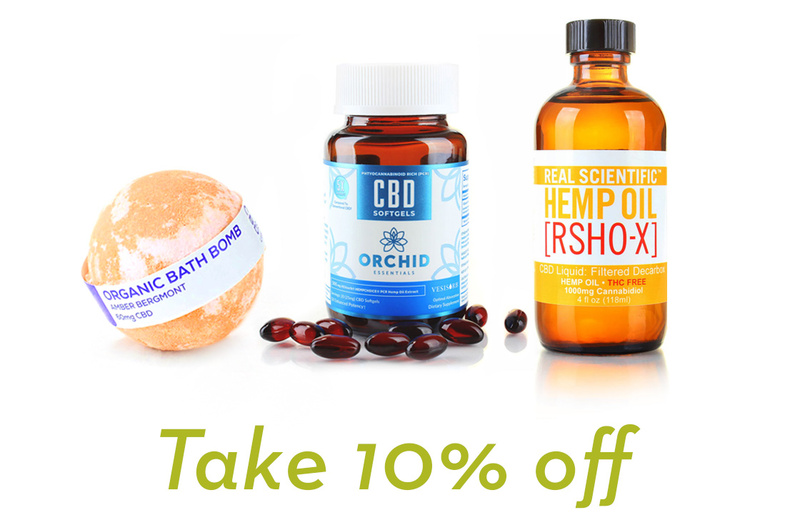 It is important to select a reputable brand or store when buying CBD products. Unlike medical cannabis, CBD is federally legal across the 50 states. Even if you live in a state where medical cannabis is currently not legal, you can still purchase and use CBD. Previous post: How is CBD Extracted? Next post: Why is CBD Oil the Most Popular CBD Product?